Every Jobbik MP has agreed to ask the Constitutional Court to review the Orbán’s regime’s bill that aims to shut down Central European University. Since all centre-left opposition MPs are doing the same, with Jobbik’s support, they have surpassed the minimum threshold of a quarter of all members of parliament needed to force a judicial review of the legislation. 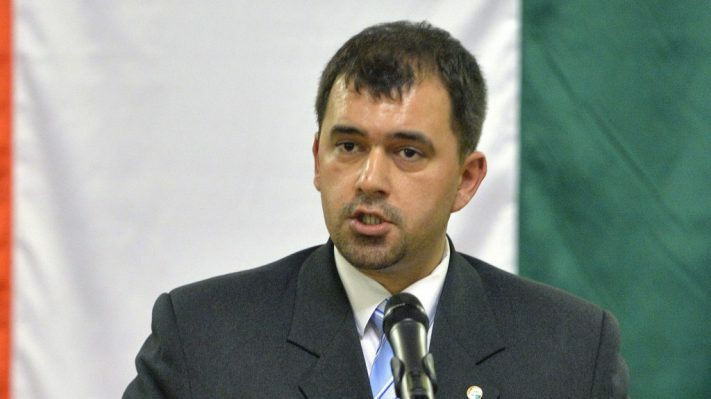 Fidesz, without question Hungary’s extremist party, immediately accused Jobbik of being on the side of immigrants. What the anti-CEU law has to do with immigration is unclear, but that hardly matters: Fidesz has been consistently communicating to its base that Jobbik is unpatriotic and is allied with treasonous, anti-Hungarian forces. Meanwhile, Hungary’s former president, László Sólyom, indicated on Wednesday that he is convinced the anti-CEU bill is unconstitutional. In fact, he called it “clearly unconstitutional” and added that one does not need a background in law to see this. In Budapest, on Wednesday late afternoon, tens of thousands of Hungarians gathered for the fourth major mass protest in less than 10 days–this time in Hősök Tere, or Heroes’ Square, while 1,000 protested in the town of Szeged, in front of party headquarters. They managed to fly an EU flag from the building in Szeged. The large Budapest protest, however, was both about CEU and also impending legislation aimed at harassing NGOs that receive funding in excess of 7 million forints from abroad (C$32,000), allowing the government to attach a damaging label to them and forcing them to jump through endless bureaucratic hoops. In the case of the anti-NGO legislation, the regime claims that this is needed to safeguard against terrorism and money laundering. As has been seen before, the demonstrators are not really taking queues from any leaders. A large group of protesters left the square and marched down to Oktogon, a major intersection, and closed it off completely to all traffic. Another group held a sit-in in front of Fidesz party headquarters, in Lendvay utca. Bizarrely state secretary for education László Palkovics made the remarkable statement on Wednesday that CEU should be able to continue its training and programs in Hungary, even if the terms of the newly enacted law are not followed. The regime has never suggested anything remotely like this before, but the state secretary is now raising the possibility that CEU could operate under a special license and may not even need to apply for a permit to operate in Hungary. This may be Fidesz backpedaling. But this type of backpedaling can often serve the regime’s purposes quite well. By its outrageous attacks, overheated rhetoric and the subsequent mass protests, Fidesz has perfectly and visibly identified the enemy for its base and has created a sense of looming war, which allows Mr. Orbán to thrive politically. Unfortunately, if this law is not rescinded and if there are no political, diplomatic consequences, Fidesz will have once again gotten away with this behaviour and will appear to have won the battle in the eyes of millions of Hungarians whose only source of news is the public broadcaster, fully in the service of the ruling party, and papers owned by Fidesz business interests. 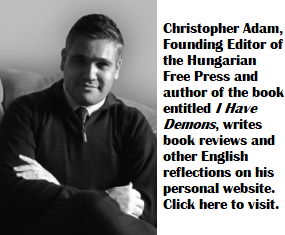 Yes, Fidesz is undoubtedly Hungary’s extremist party and Orban is becoming a dictator. In view of this deepening crisis the democratic side should take a clear look and adjust its gunsights. The demo organizers don’t take queues, but they very much should – the demo speakers seemed to have been so selected as to avoid any hint of public speaking skills. Amateurish to the point of turn-off. Bizarrely ? Surely, to any normal citizen, democrat the waffling Palkovics’s statement that the CEU’s “operating license is of no great importance” http://hvg.hu/itthon/20170412_palkovics_laszlo_ceu. Not so in the frame of the fascist state, where not the laws and regulations, but the will of the Furher is what counts. Orbán may have thrived politically in the sense of looming “threats”, “attacks” and “wars”, but there’s a point where the public gets tired of these never ending fictitious and absurd “struggles” and “battles”. It is time to give Orban more real battles anywhere we can. To show the economic, social and political damages caused by his gang run.